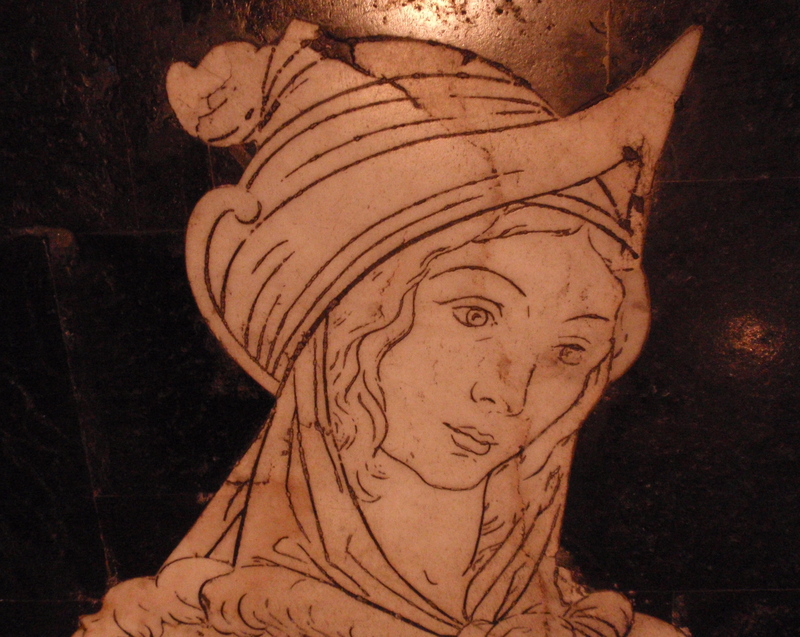 A marble on the Siena Duomo floor. A wondering Mary? The Song of Mary, her joyful response to the angels’ declaration that she would bear a special child (are they not all? ), is timely and most appropriate in the Advent season. The Magnificat, as it is known from the first words of the song in Latin, has frequently been sung by women and girls during Advent. My soul magnifies the Lord, and my spirit rejoices in God my saviour. The song is used much more widely than in the festive season, appearing regularly in vespers or evensong services as well as in many other liturgical situations, particularly in faith communities with a strong Marian tradition. 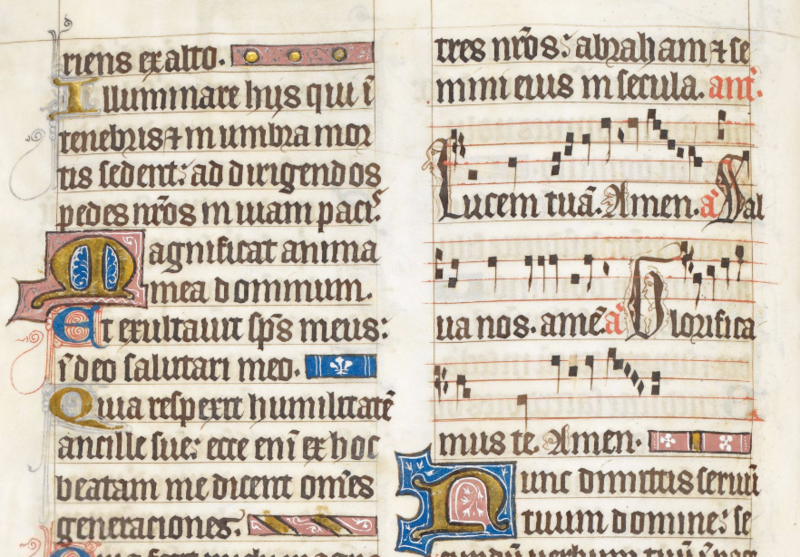 Detail of the Magnificat, followed by an antiphon and the Nunc Dimittis, in the Howard Psalter, http://www.bl.uk. These canticles were often listed together in Psalters and books of hours. The popularity of the song, which is found in Luke 1:46b-55, has ensured that many varied settings exist. CPDL has a list of a hundred or so, including music for full worship services like Matins and Vespers. Settings range from an early Latin hymn after the Gregorian chant tradition to the paraphrased Canticle of the turning sung to a traditional folk tune. In Together in song there are seven tunes that are either settings of or references to this lovely paean of thankful wonder. No 161 Tell out my soul is a favourite as a hymn. No 172 My soul gives glory, much less frequently sung, presents a nice approach with an early American melody and more inclusive references to God. The text lends itself to participation by all – but verses 1 and 2 particularly invite the pure sounds of female voices. Psalms for all seasons offers four settings, including Holy is your name set to the Irish traditional tune ‘Wild Mountain Thyme’. A more traditional chant and response style, using a simple three-note tone or chant tune may also be found (PFAS pages 1020-22).